The government has cancelled passports of 45 non-resident Indians, or NRIs, for abandoning their wives, Women and Child Development Minister Maneka Gandhi has said. 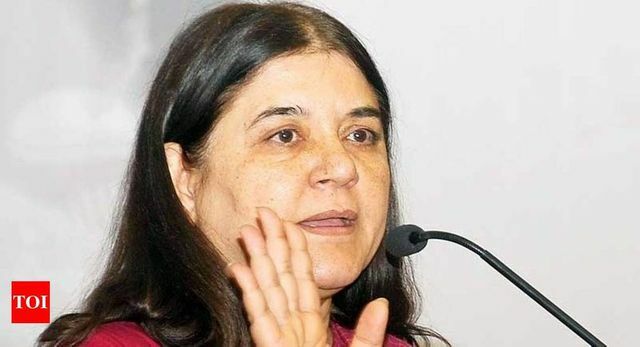 The Integrated Nodal Agency made to look into the matter has been issuing Look-Out Circulars to absconding husbands in cases of NRI marriages and 45 passports have been impounded by the External Affairs Ministry, Ms Gandhi said. The agency is chaired by secretary in the women and child development ministry, Rakesh Srivastava. Ms Gandhi said the government has also introduced in Rajya Sabha a bill to give justice to the women who have been abandoned by their NRI husbands, but expressed dismay that the bill has got stalled in the upper house.